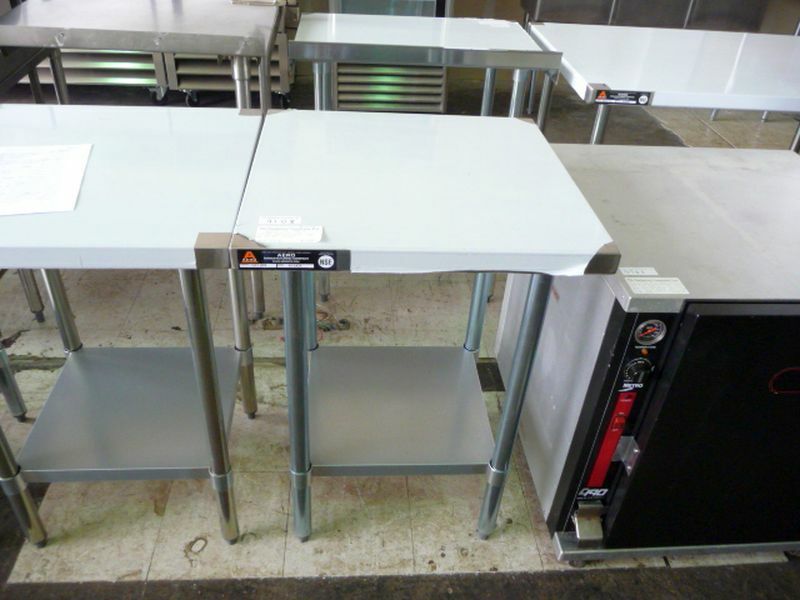 24″ x 24″ stainless steel work table with galvanized legs and lower shelf. 2 available. 24" x 24" x 35"